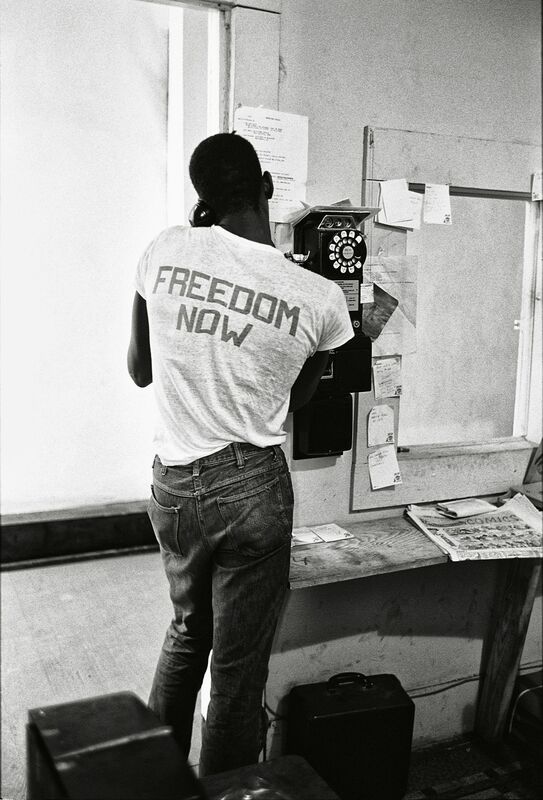 With the publication of The Fire Next Time, Baldwin found himself charged with a new responsibility and an expectation to embody the role of “emotional and spiritual historian” for the movement. 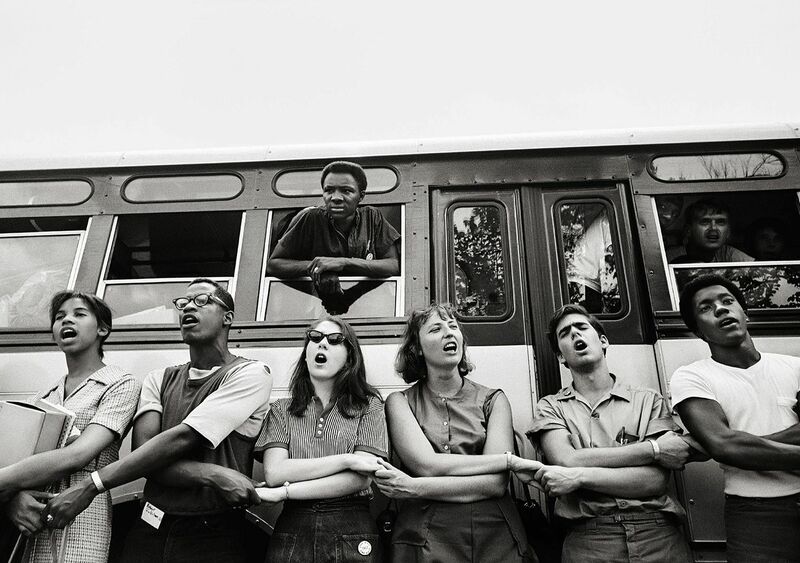 Traveling with the activist and writer, Schapiro was thrust into the heart of the movement where he documented the realities of voter suppression, police intimidation, and the necessity for civil disobedience. 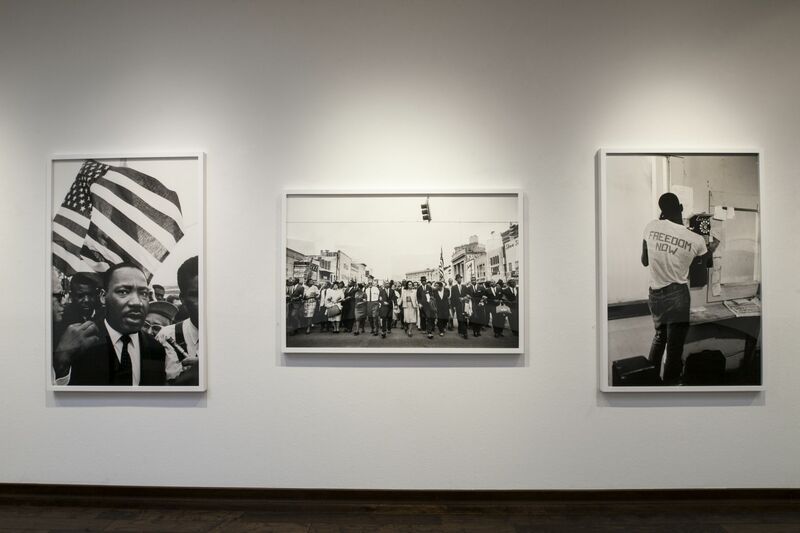 Even amidst the turmoil, and certainly because of it, both artists were able to capture the symbols of community and love rising from the very real violence and tension happening throughout the South. 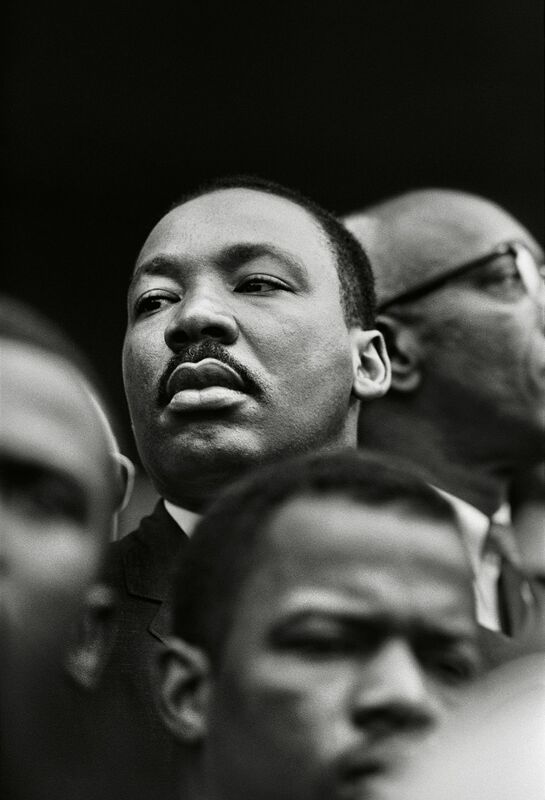 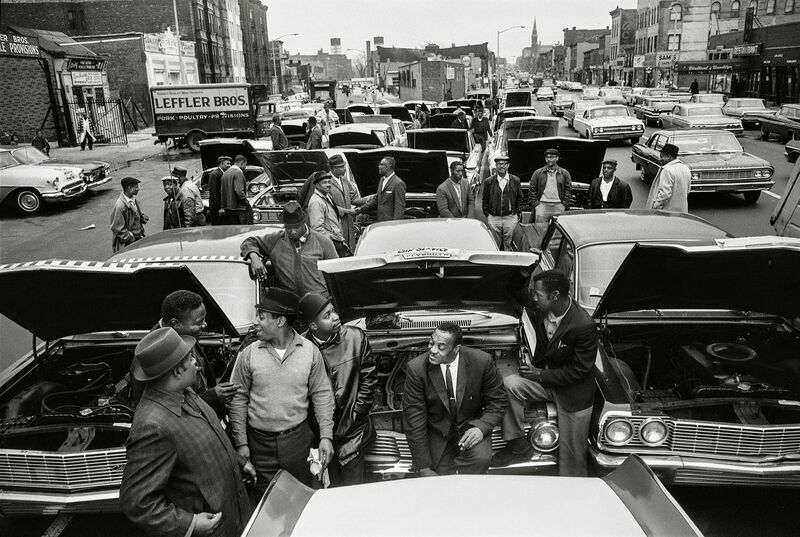 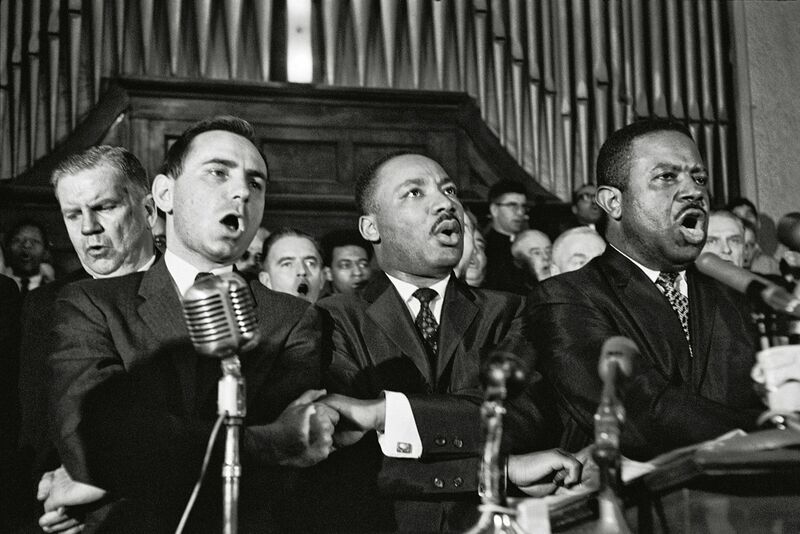 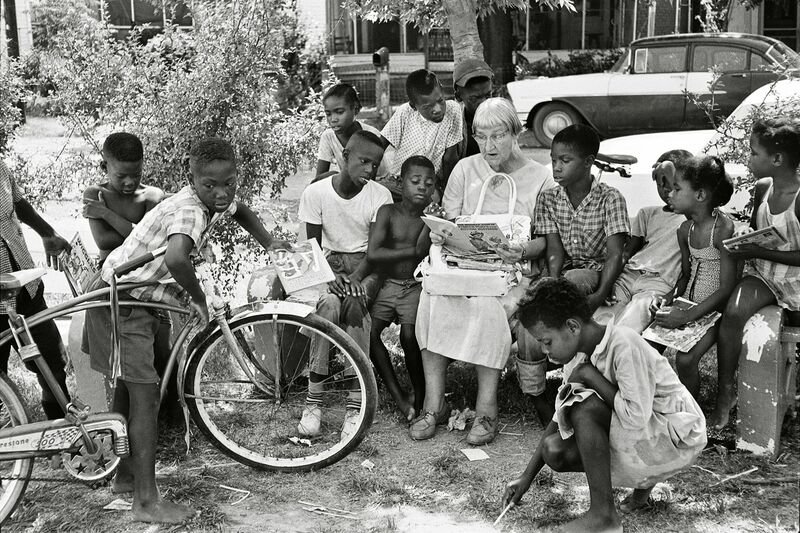 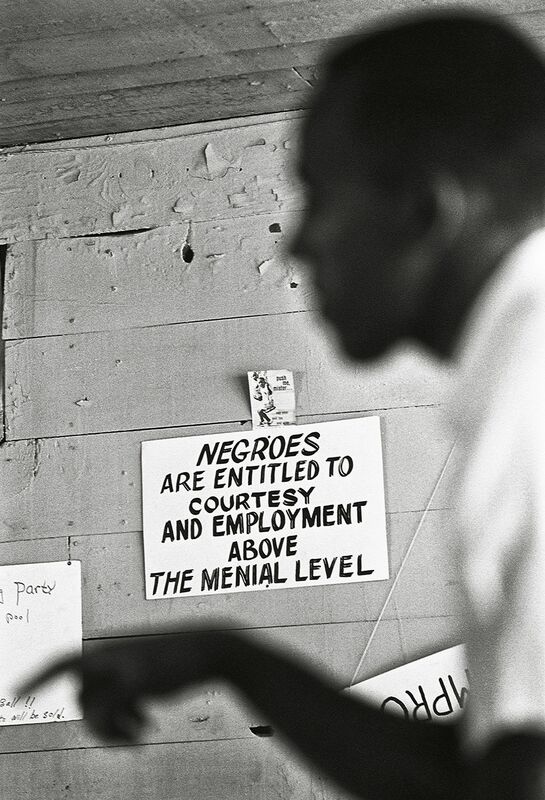 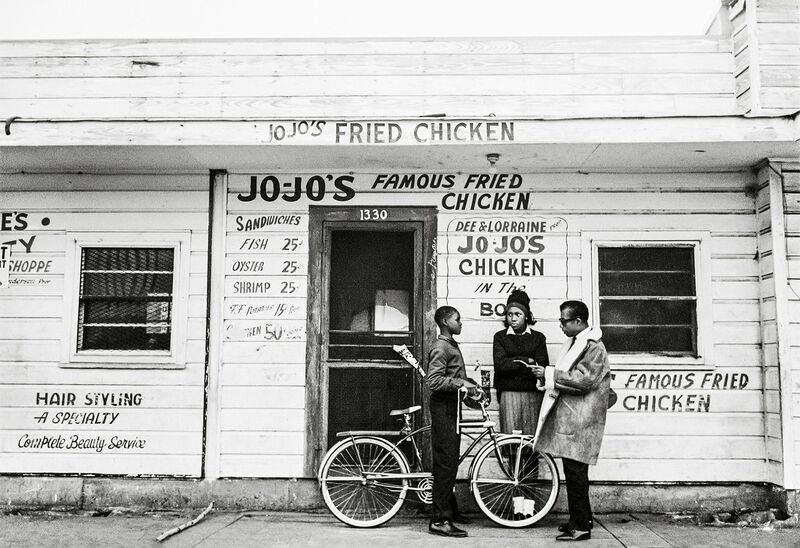 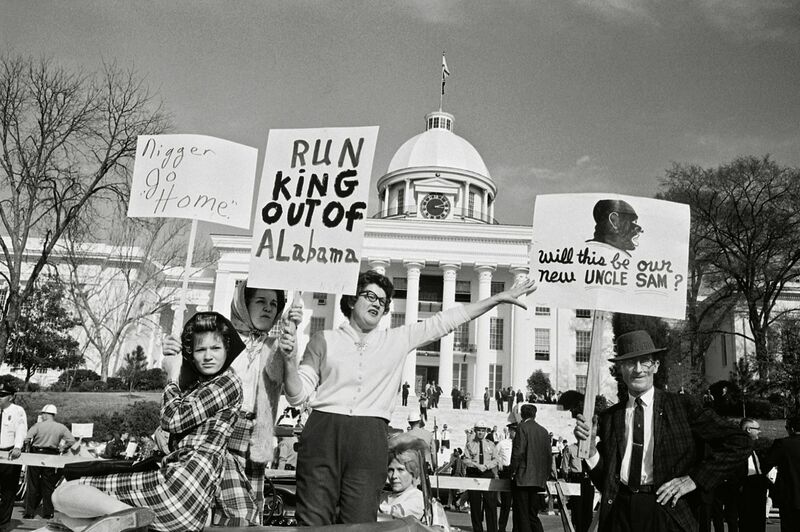 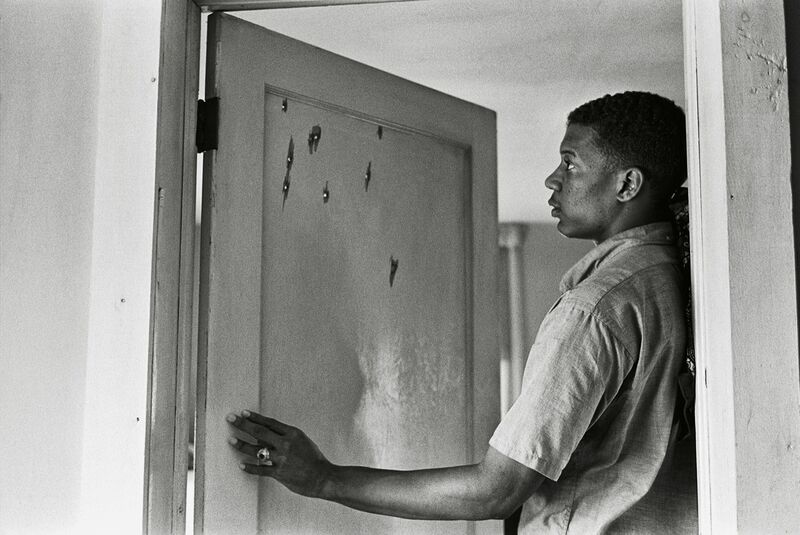 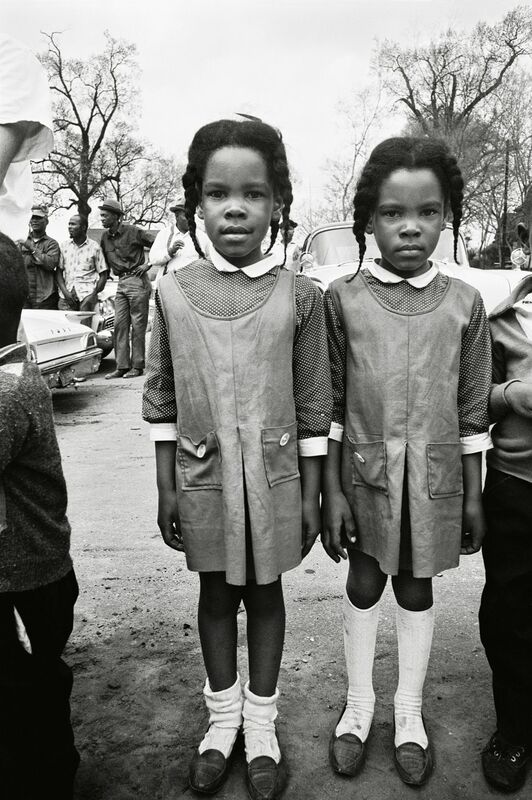 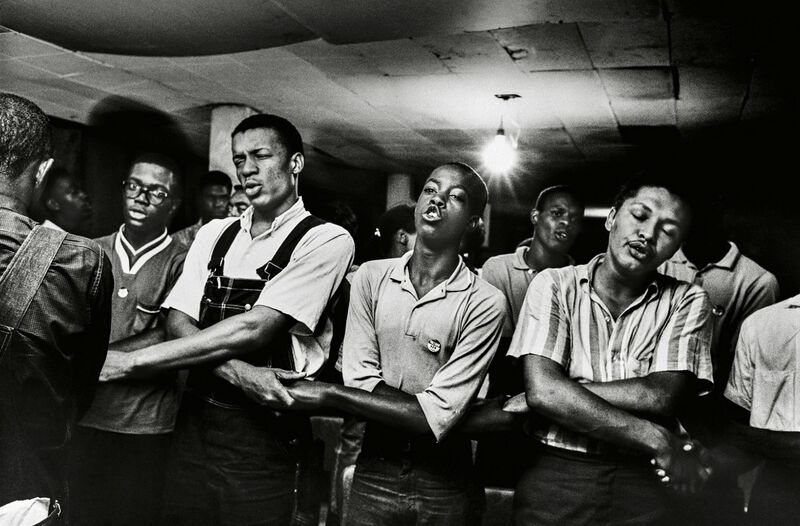 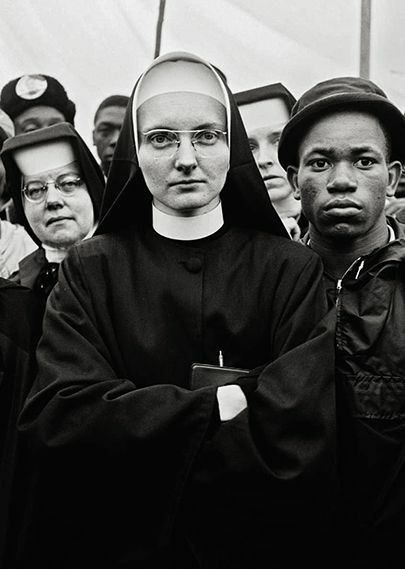 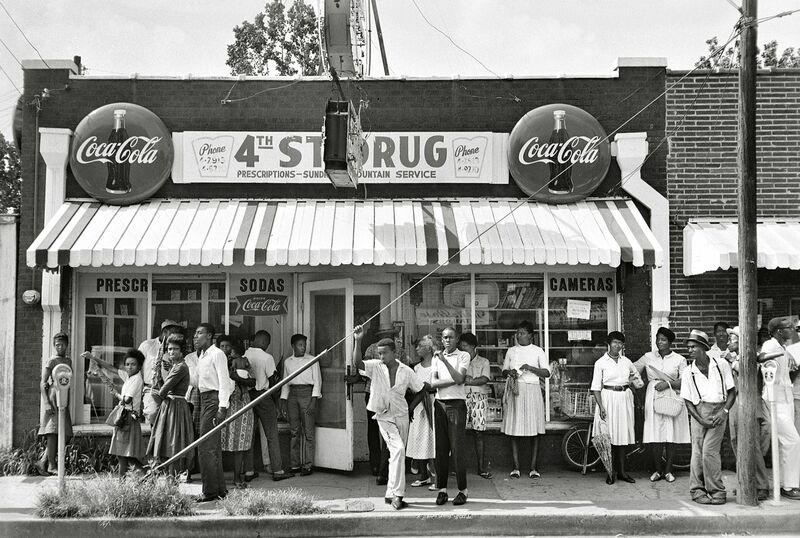 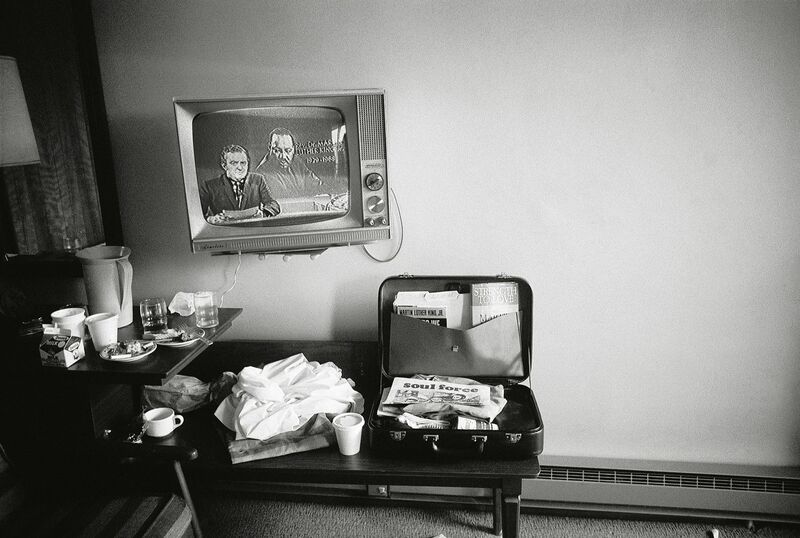 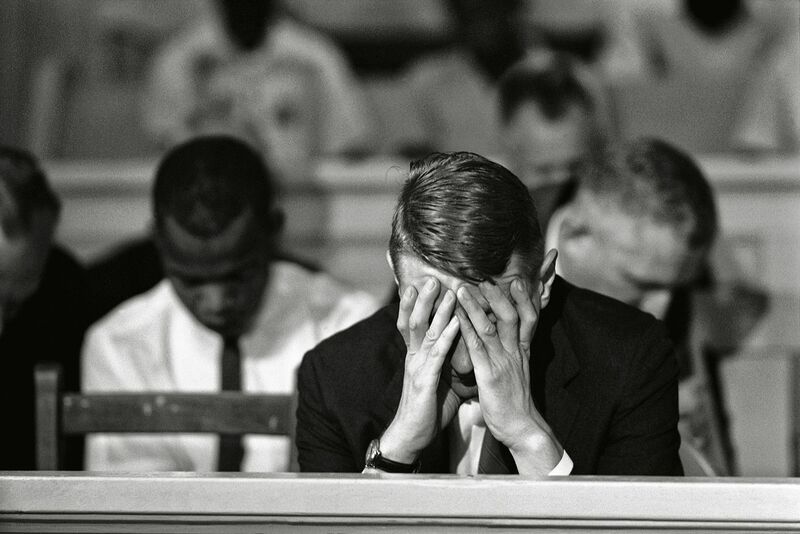 After Schapiro’s photo-essay ran in Life in March of 1963, he was assigned to cover the South in even greater depth. 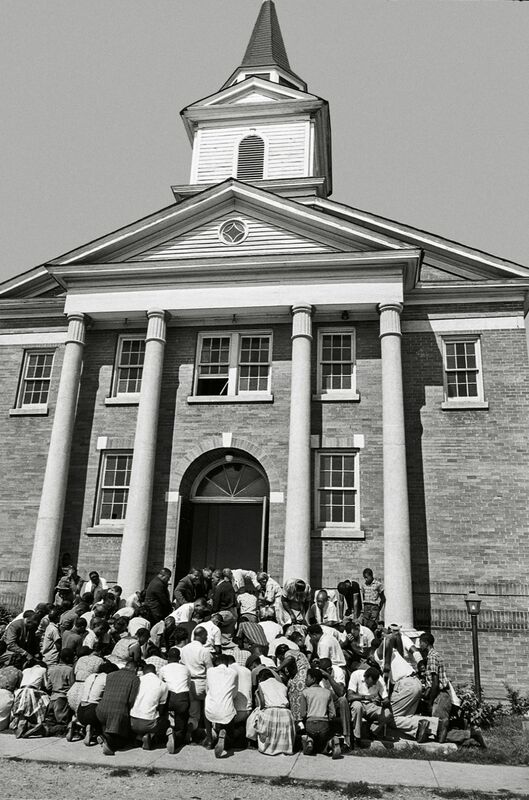 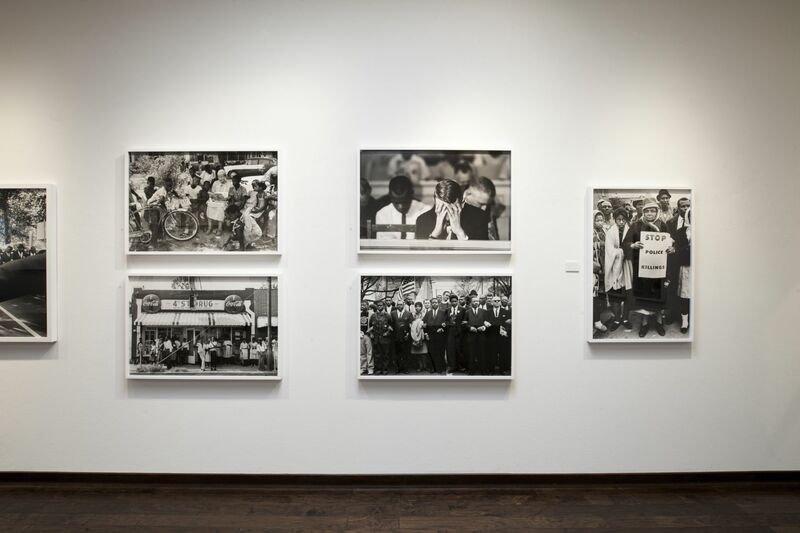 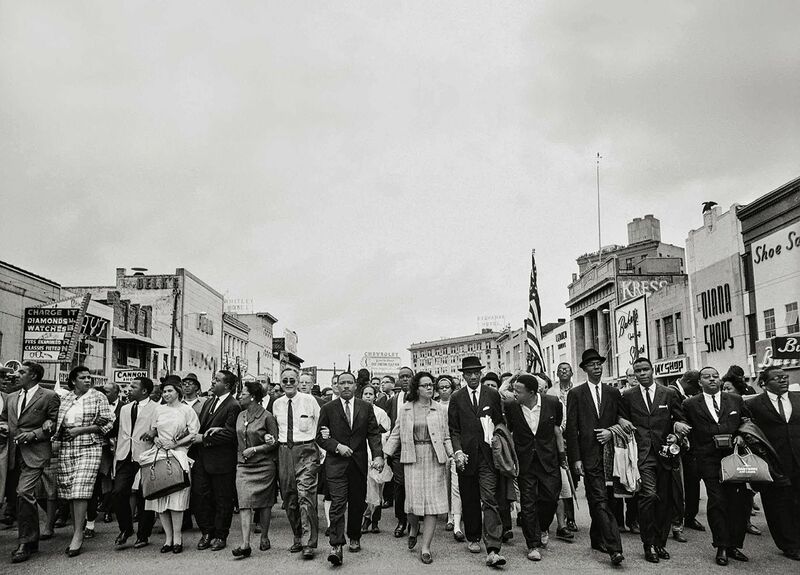 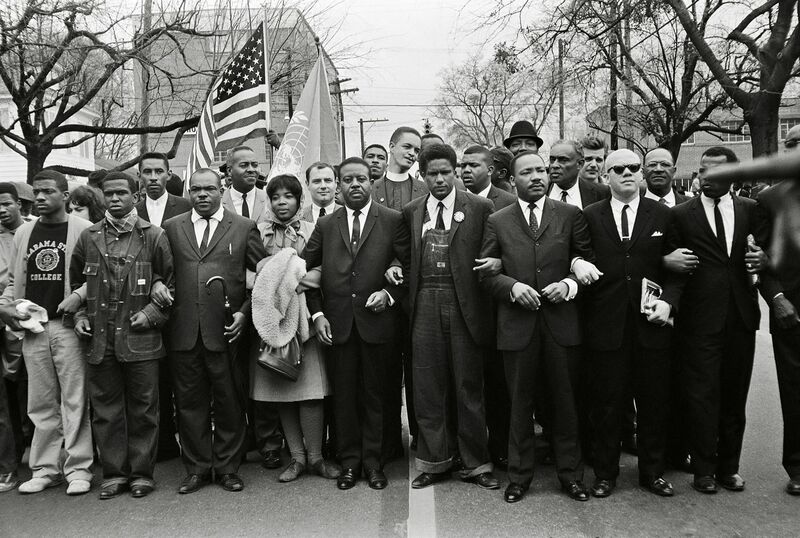 These assignments produced images that are now part of the American collective subconscious: George Wallace standing in the schoolhouse door at the University of Alabama, the March on Washington, Civil Rights leader John Lewis in Clarksdale, Mississippi, and Dr. Martin Luther King Jr. leading the march from Selma to Montgomery in 1965. 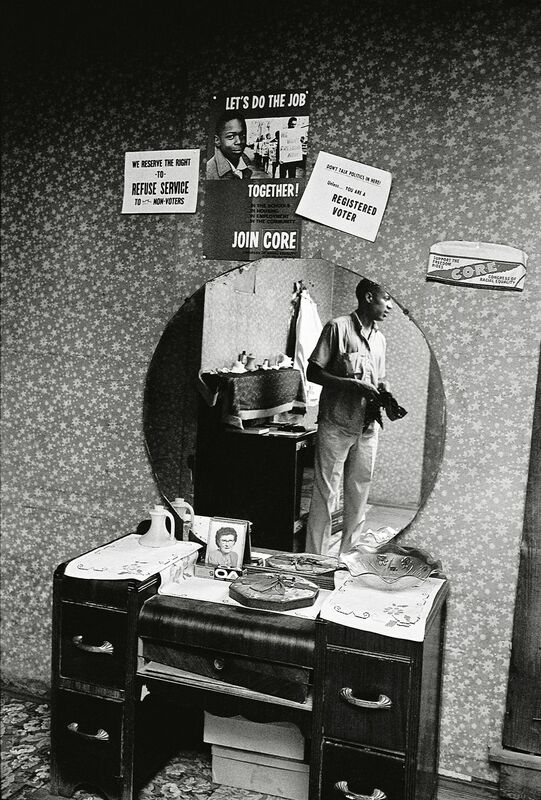 Schapiro’s photographs from this time are some of the most important historical documents of the American 20th century. 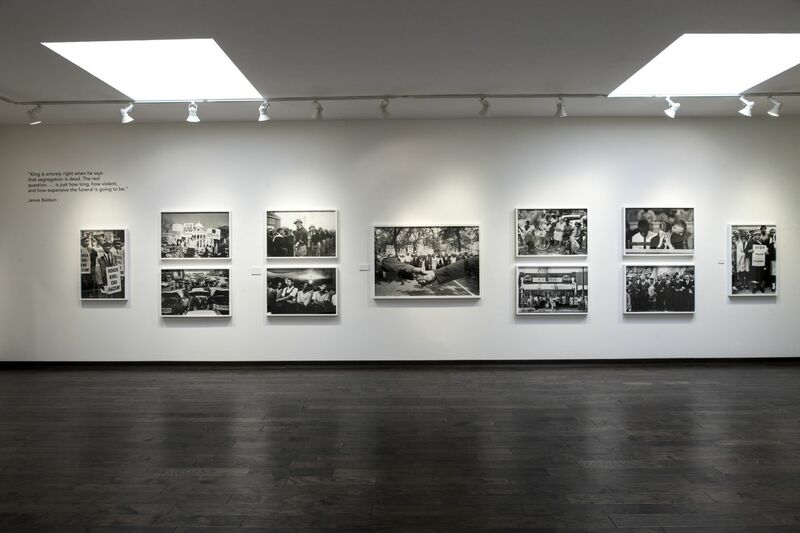 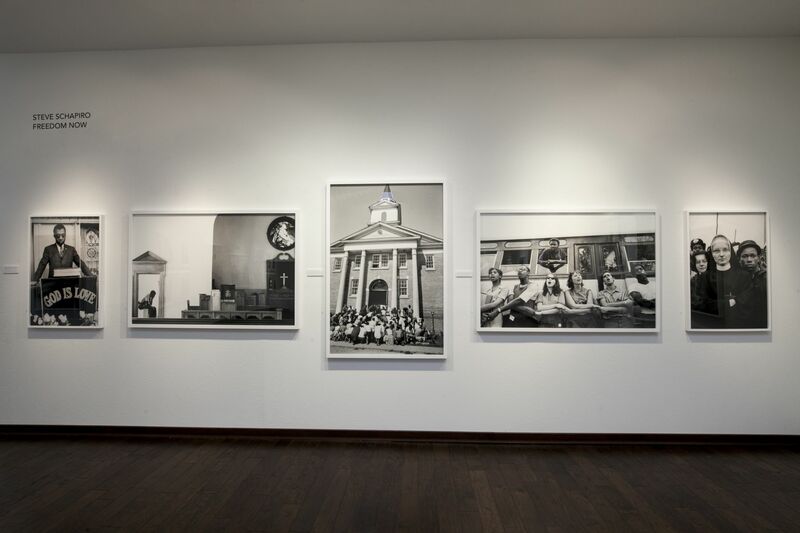 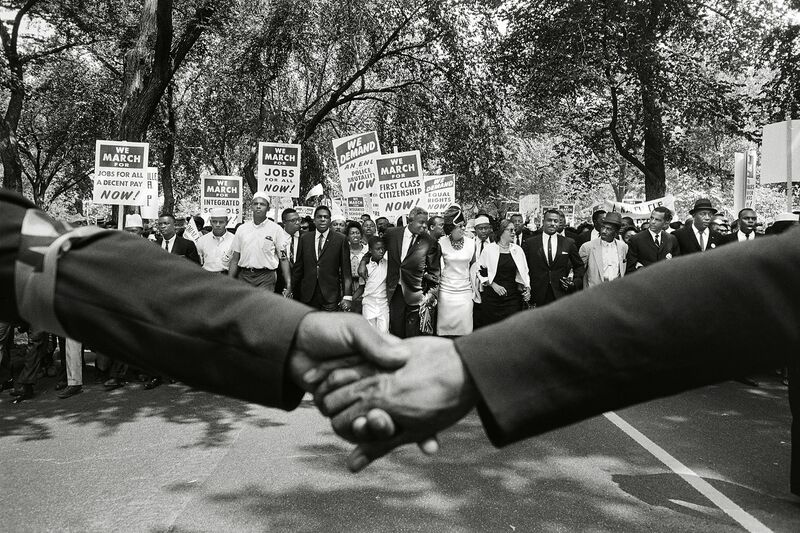 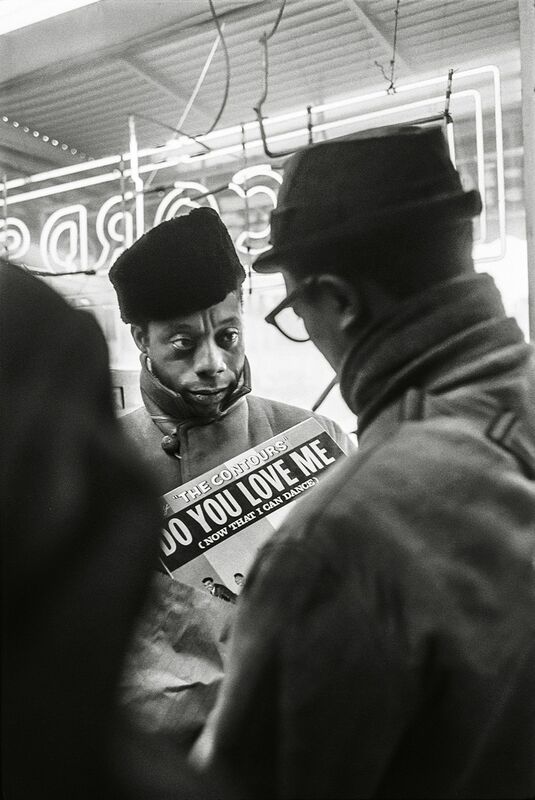 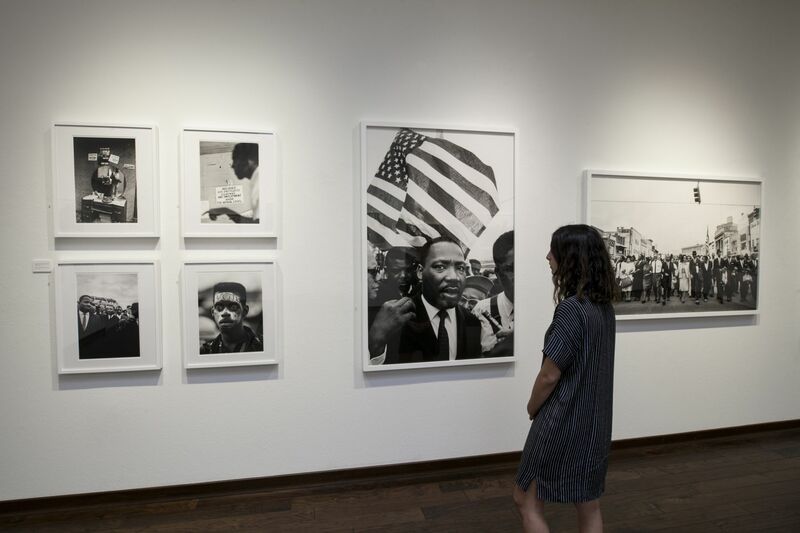 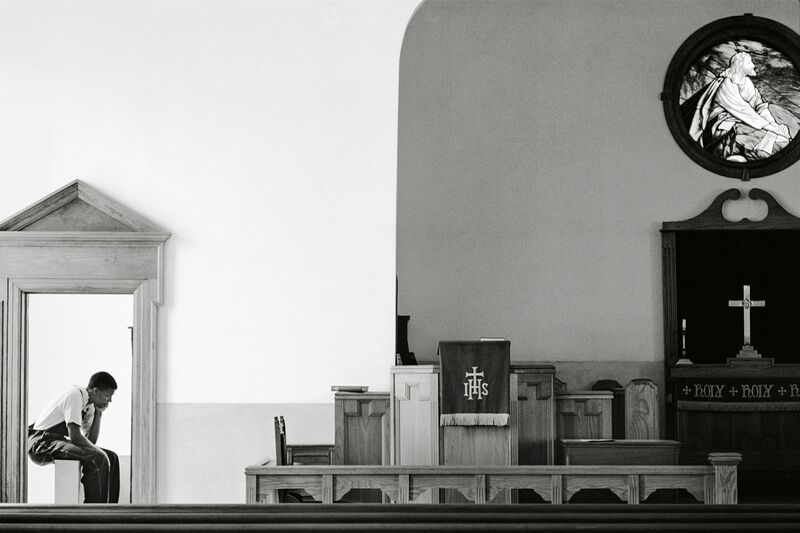 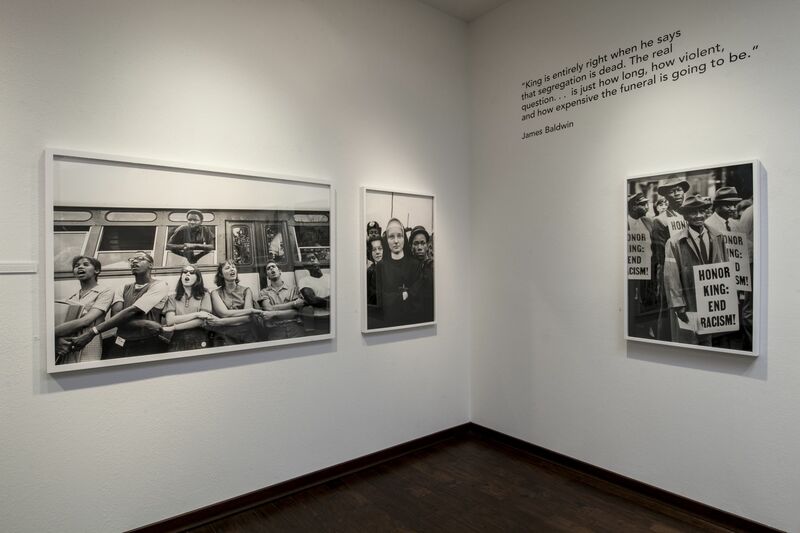 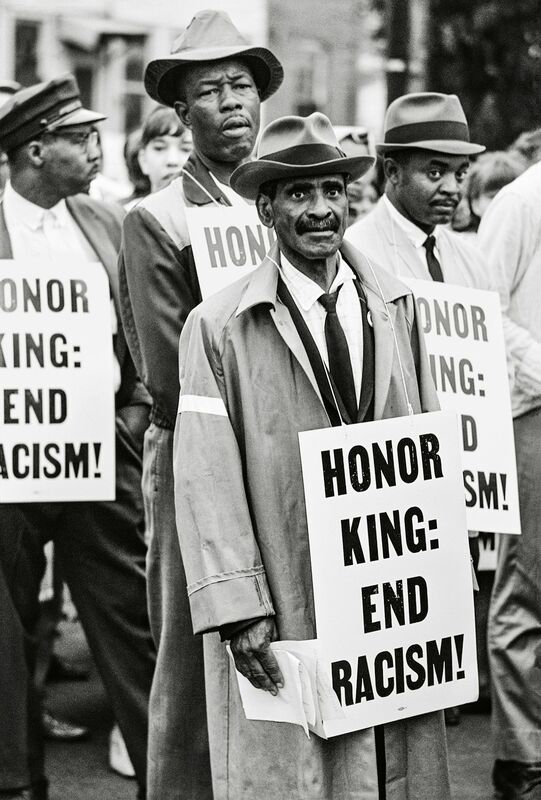 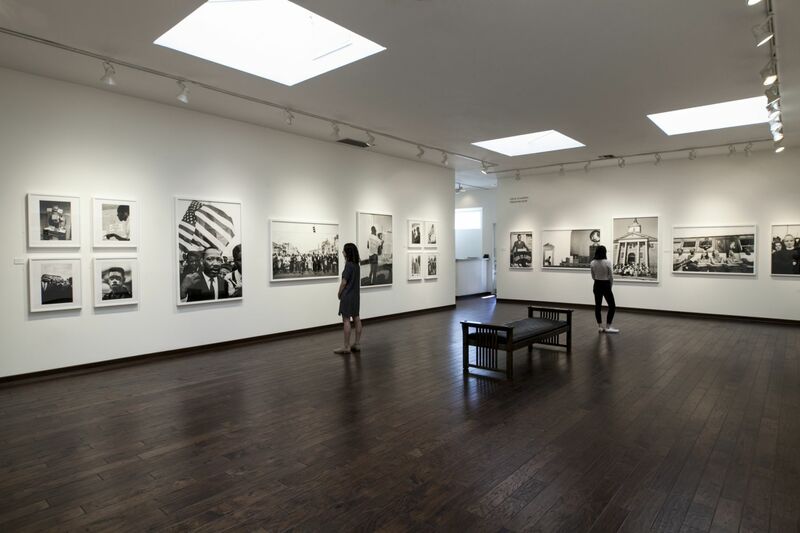 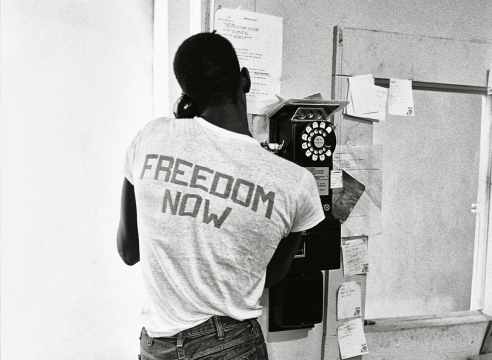 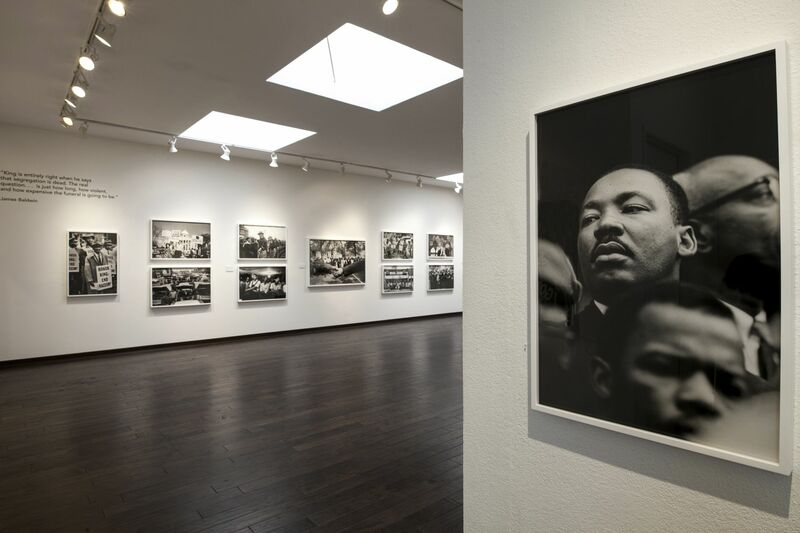 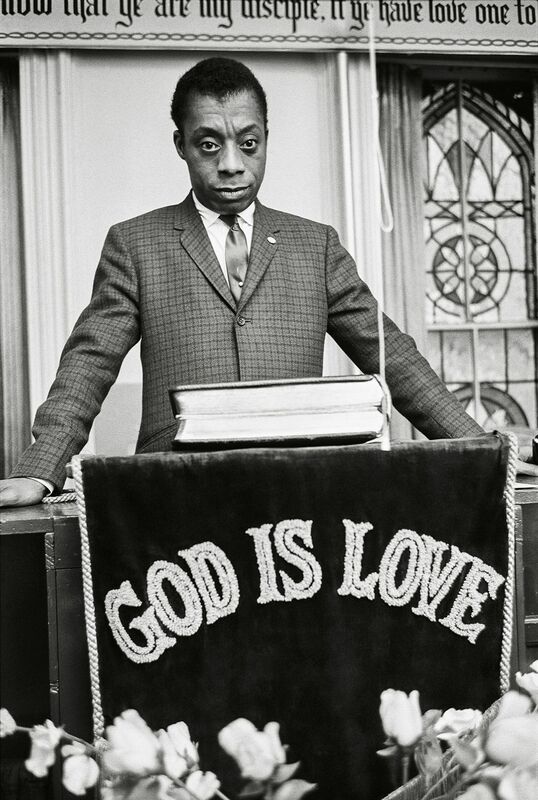 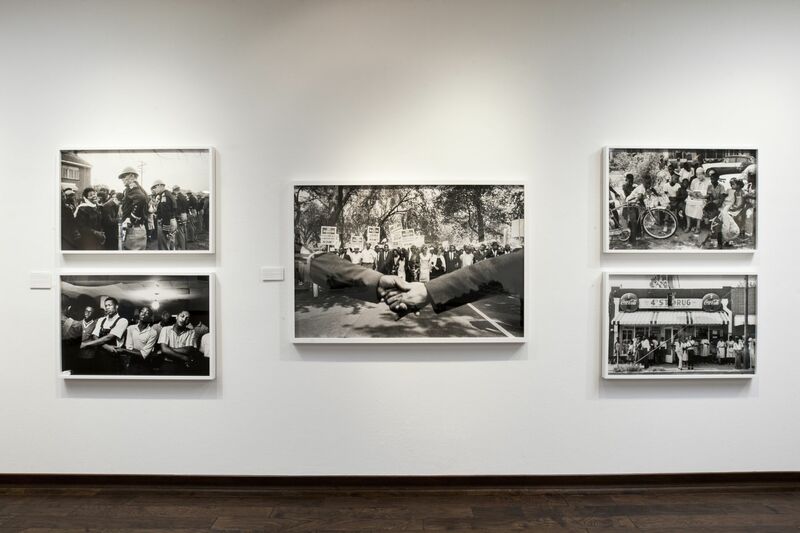 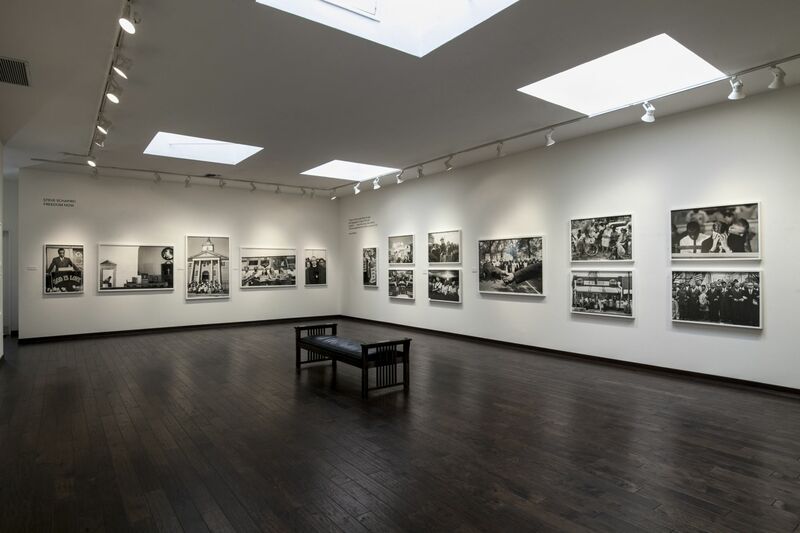 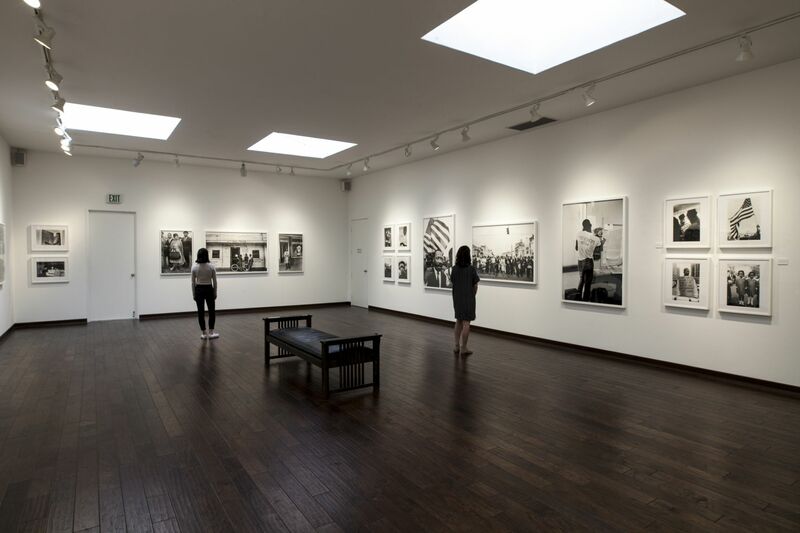 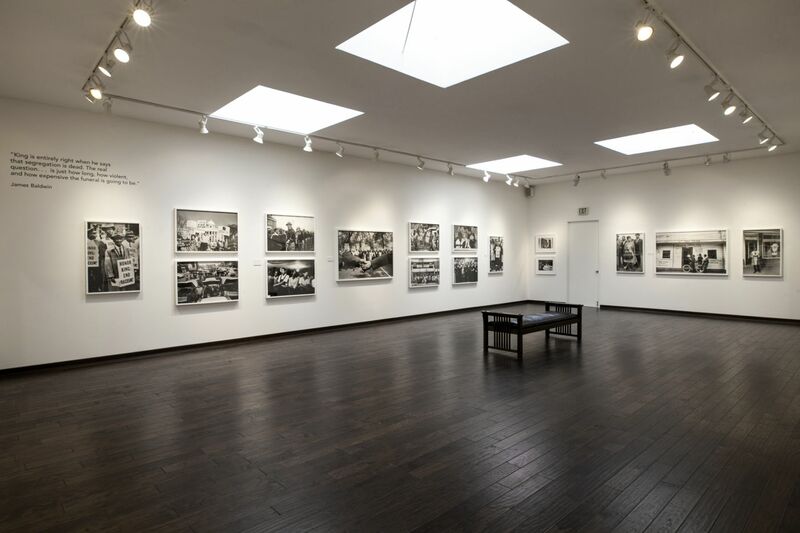 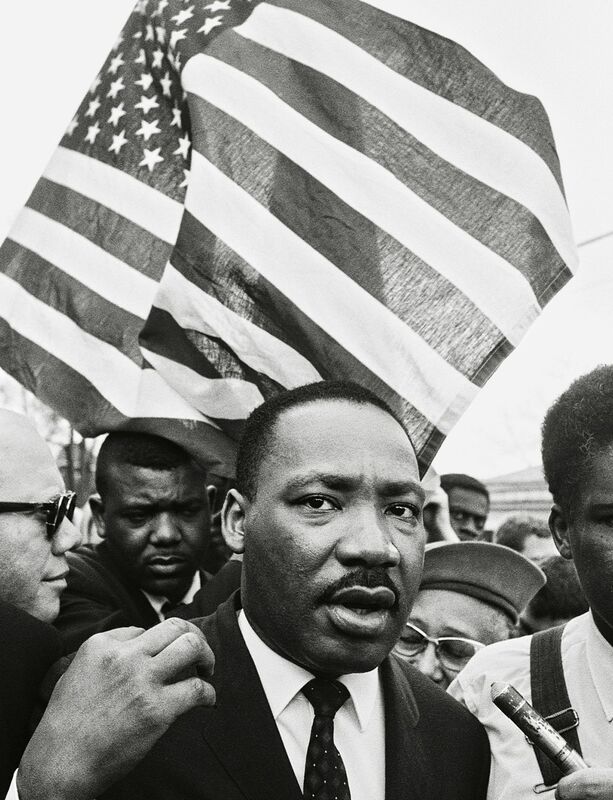 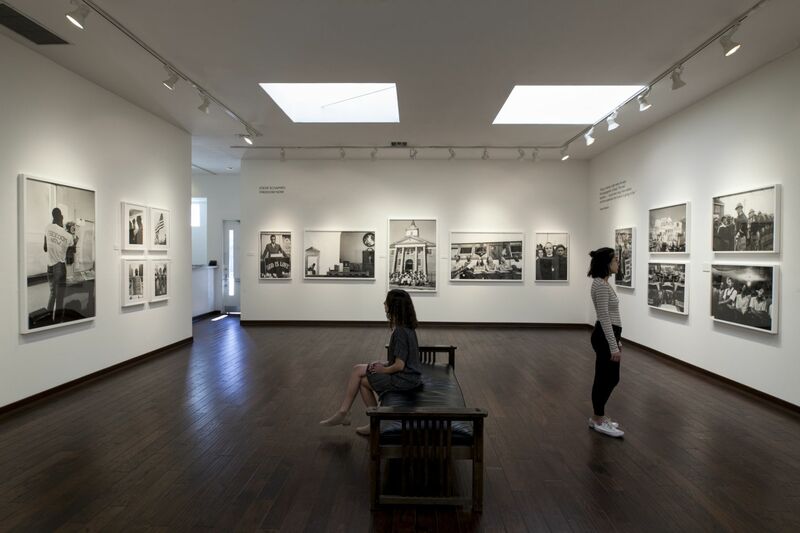 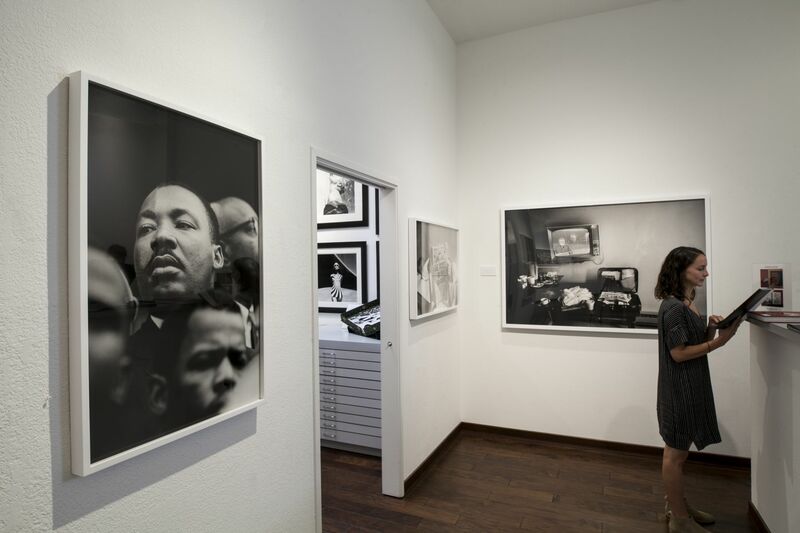 While his photographs certainly document the darker side of the struggle, Schapiro also manages to relay the constant reliance upon love, community, and faith that became the legacy of King and his Civil Rights Movement. 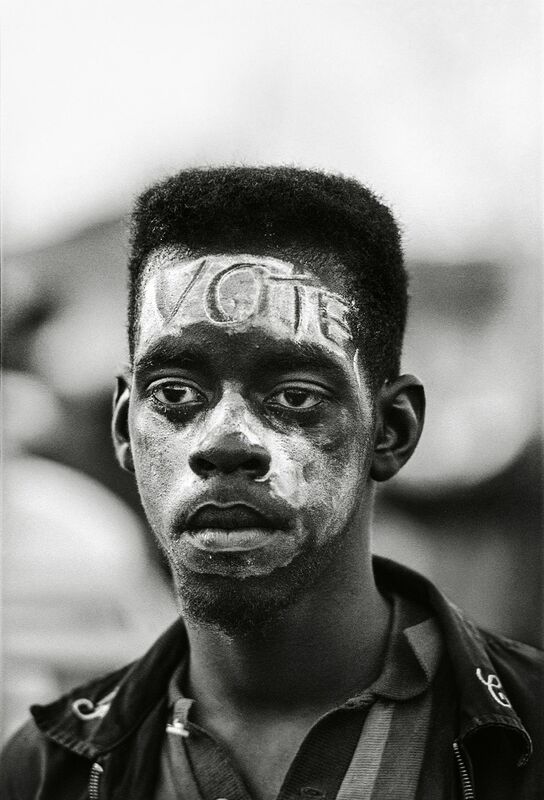 Although a half-century has passed since the pair traveled south, Schapiro’s photographs seem perhaps even more relevant and poignant today. 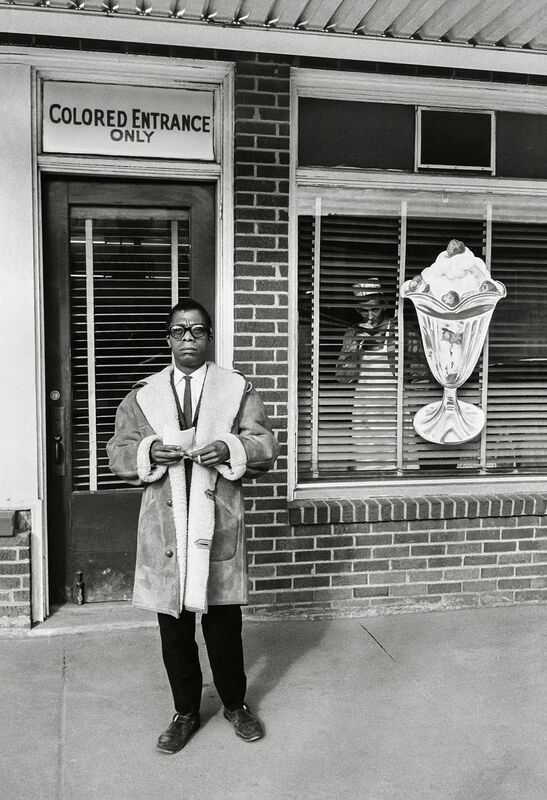 Concurrently, in 2017, Baldwin is being rediscovered and taught as a contemporary voice. 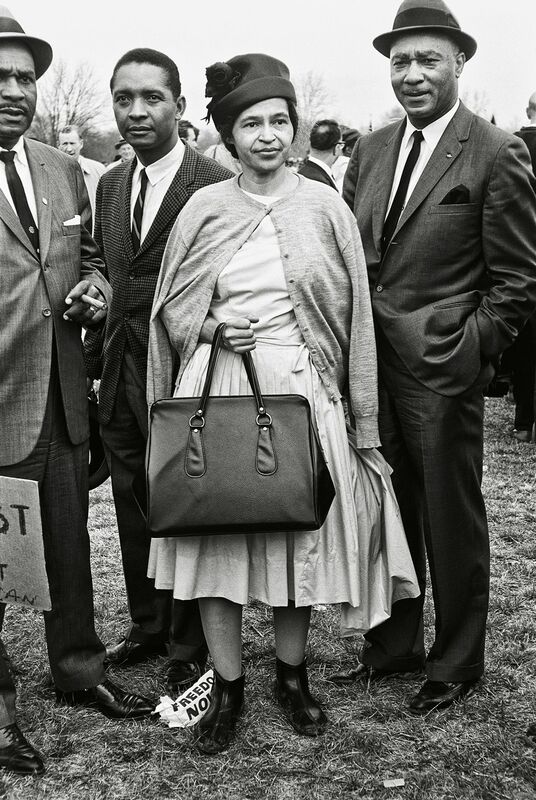 Civil Rights leader and U.S. 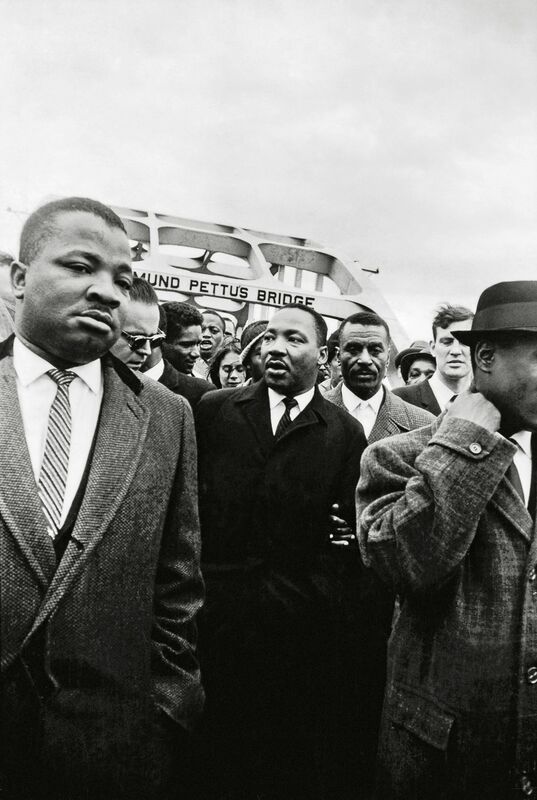 Congressman John Lewis reflects in the introduction to this new edition, “So much has changed in America since the 1960’s. 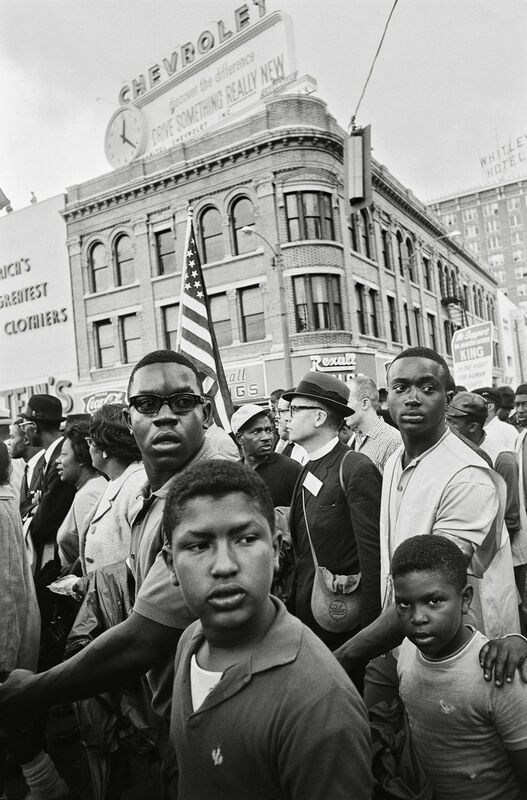 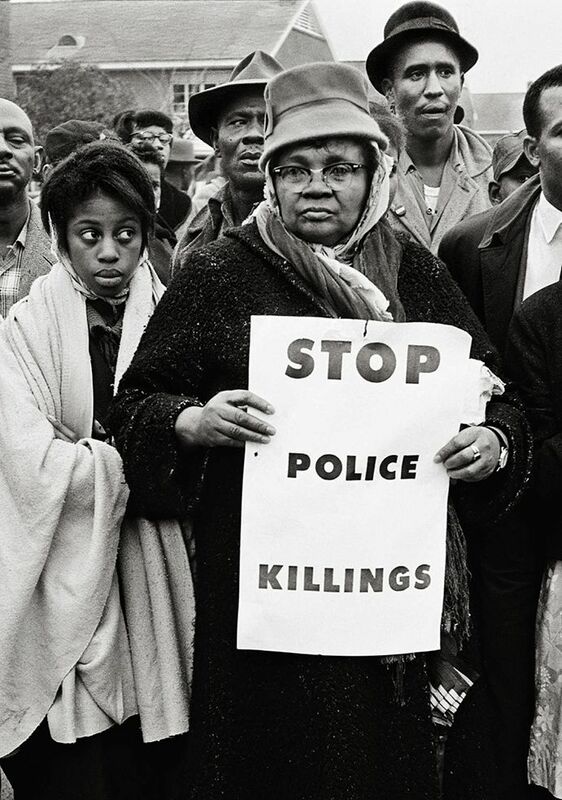 Yet, at the same time it is jarring to realize that the fundamental struggle for human dignity is still teeming in American streets.” Lewis goes on to note the signs in Schapiro’s photographs “could be the message of the protest today: ‘We March for First Class Citizenship Now,’ ‘We March for Jobs for All Now,’ ‘Stop Police Killings’.” This incisive observation shows that Schapiro’s Freedom Now and Taschen’s publication of The Fire Next Time are not only recollections of our past, but necessary reflections of our present. 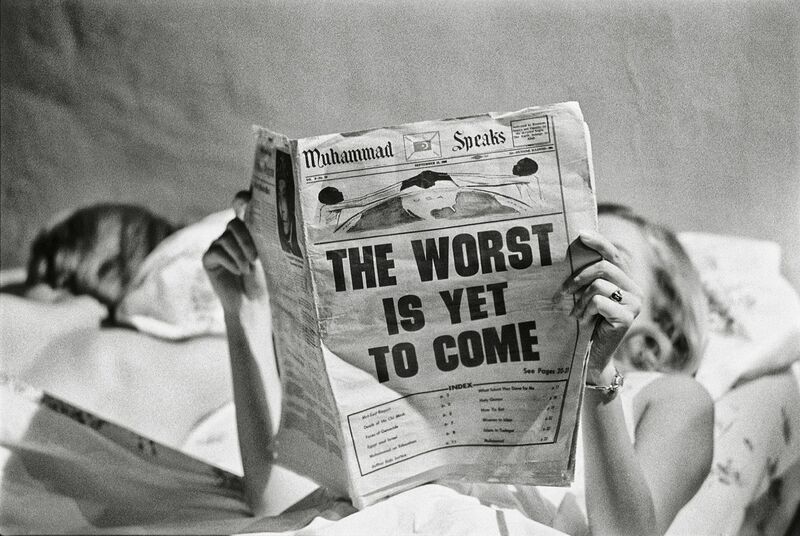 In the early 1960’s Steve Schapiro began working as a freelance photographer for publications such as Life, Rolling Stone, TIME and Newsweek. 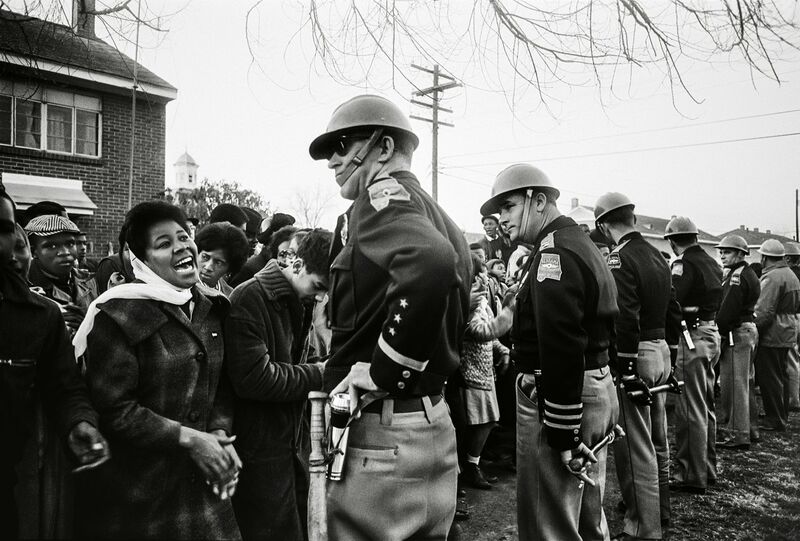 Schapiro worked amid the height of the Civil Rights Movement and captured some of the most poignant moments of the time. 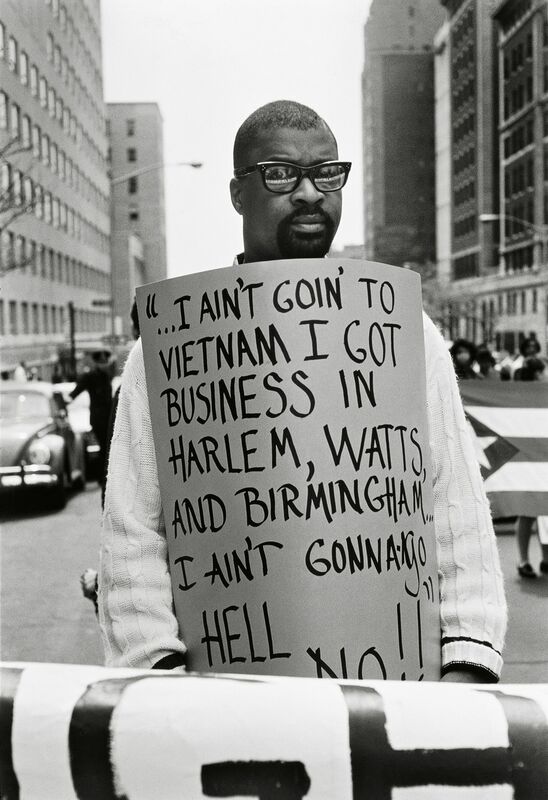 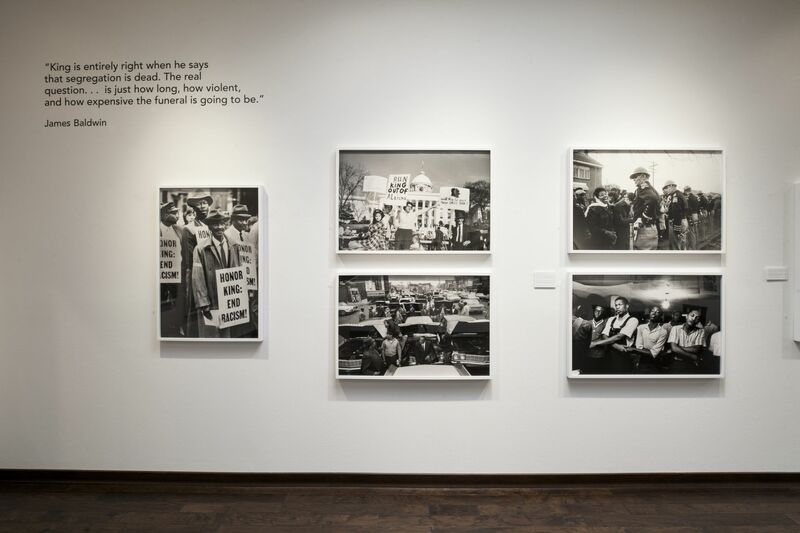 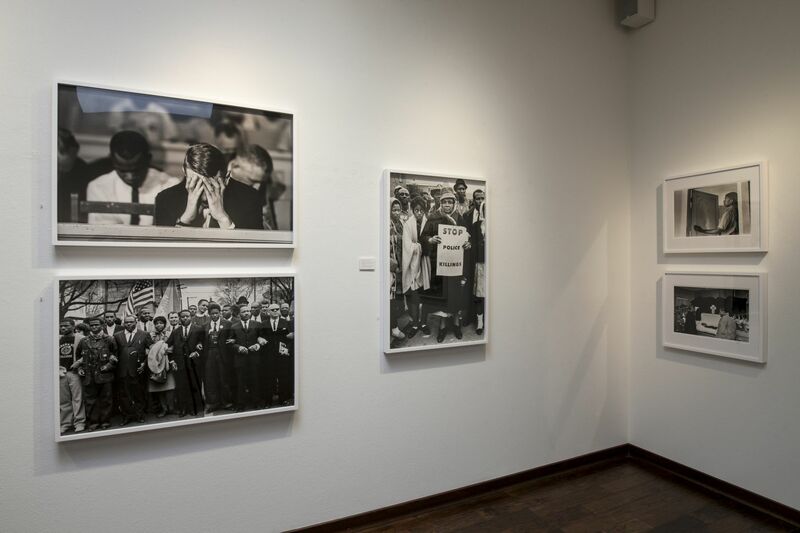 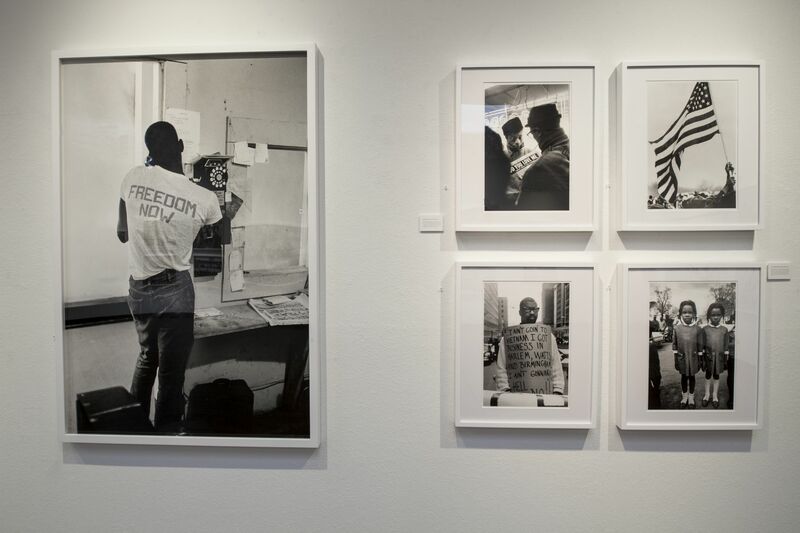 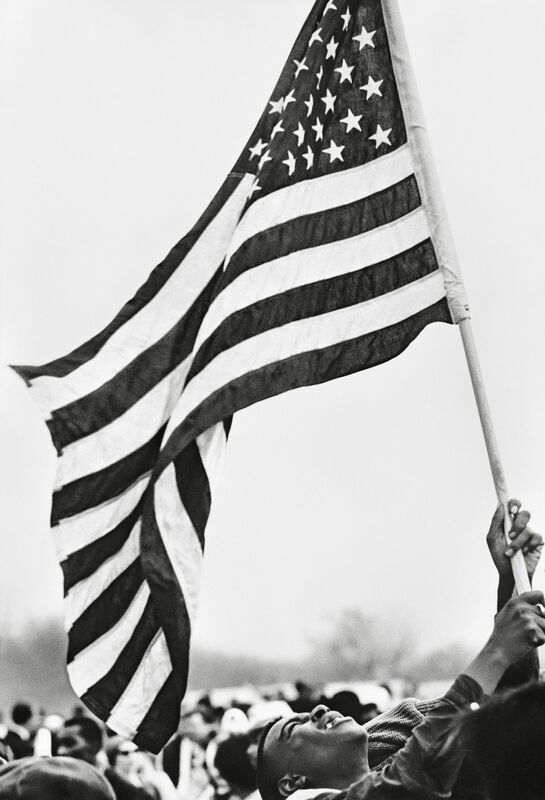 Schapiro recently delved back into his photographic archives and as a result, the exhibition will include several previously unseen and unpublished images from Schapiro’s time documenting the Civil Rights Movement. 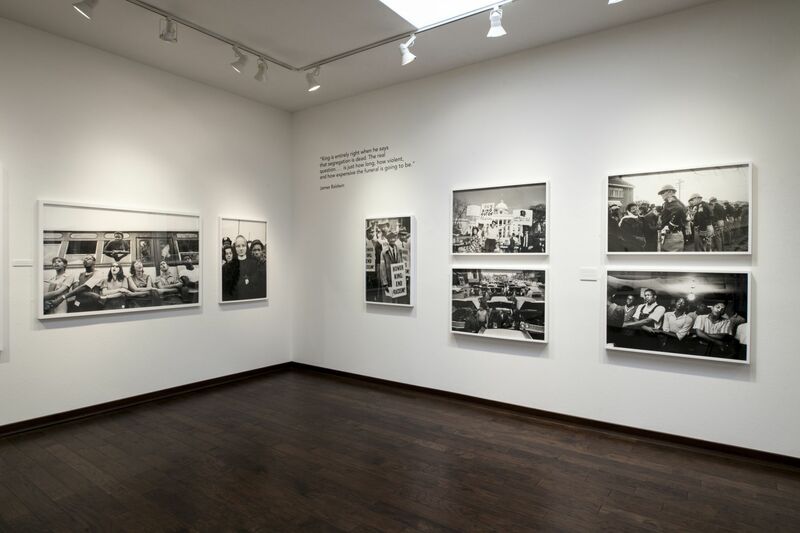 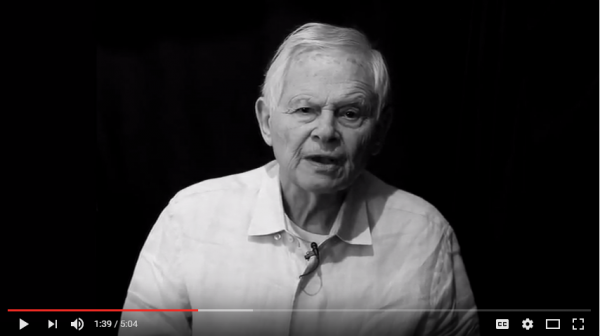 Schapiro worked extensively throughout the 1960’s covering stories on American culture and politics. 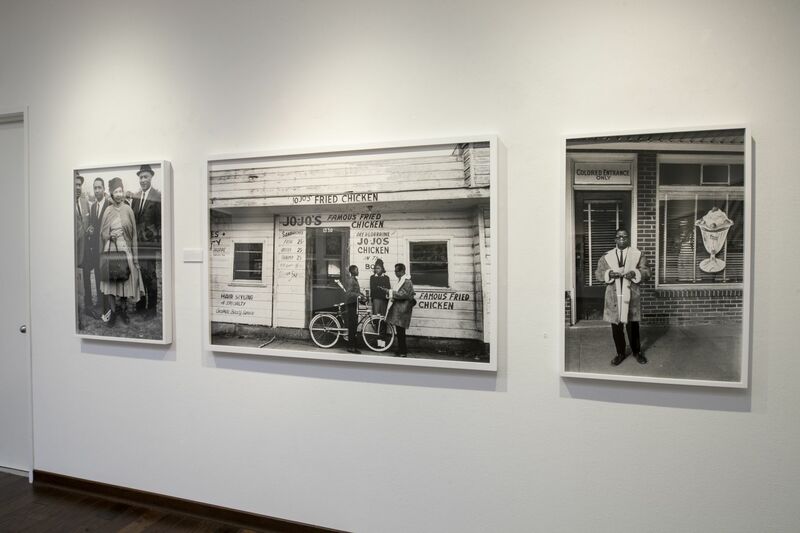 In the 1970's and 1980's, Schapiro continued his documentary projects and worked in Hollywood photographing behind the scenes of iconic films including “The Godfather”, “Taxi Driver”, “Chinatown”, and “Midnight Cowboy”. 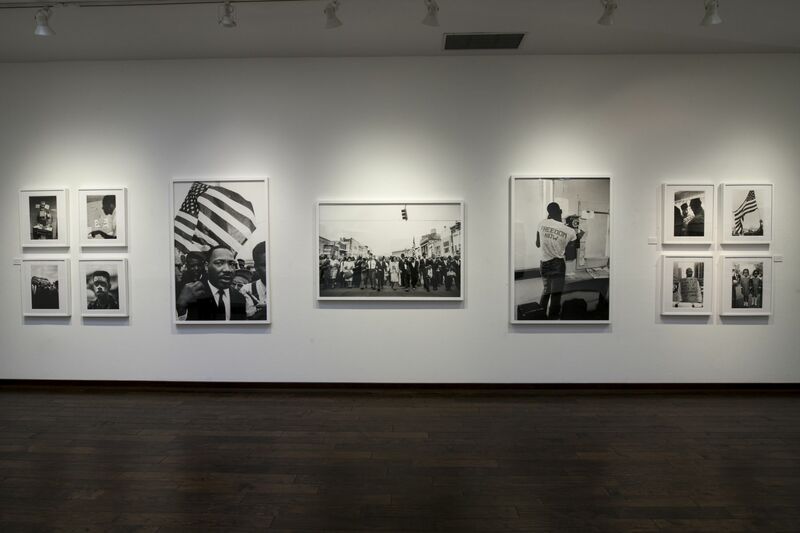 His work has been collected, exhibited, and published internationally. 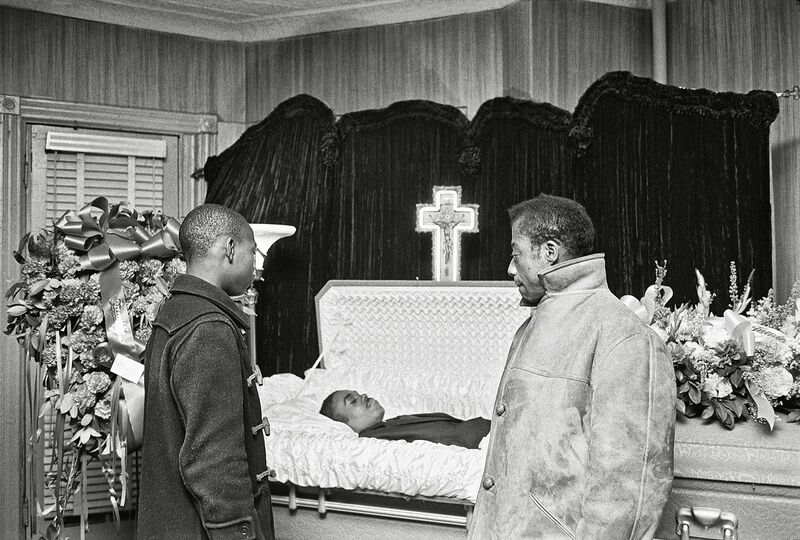 Steve Schapiro lives and works in Chicago.